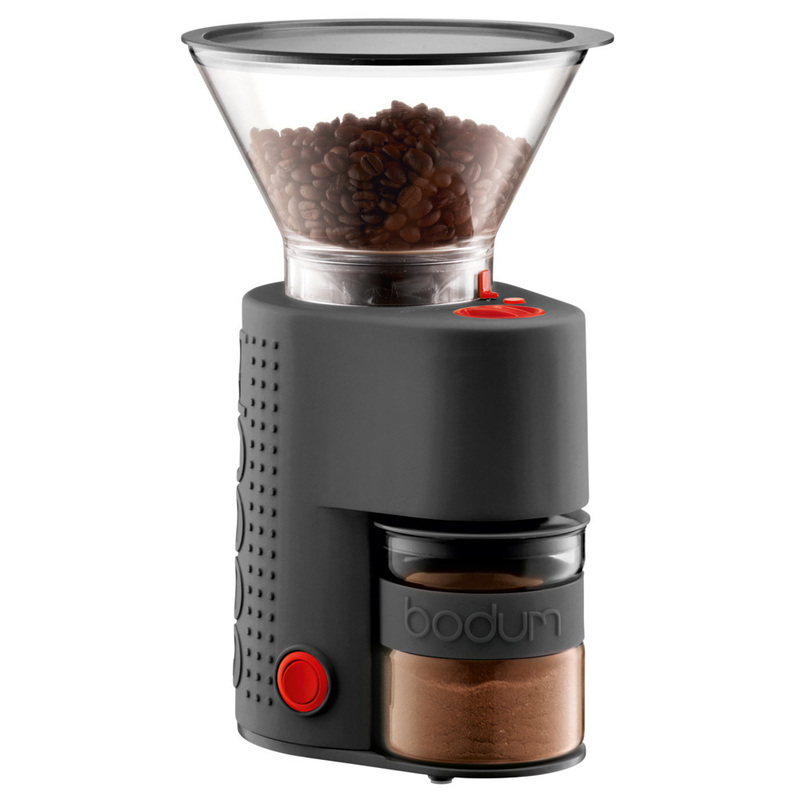 Now, when Bodum decides to combine their coffee prowess with their new Bistro Electric range, anything could happen... and it has! The Bodum Bistro Electric Adjustable Coffee Grinder is the ultimate in fun and supreme function. You’ll feel just like your local barista as you adjust your own grind! Not only is the grind adjustable, but you’re better able to grind-as-you-go to ensure the freshest grind possible… a little secret all good baristas know. Now you can too! Also, its glass container is especially good for coffee to ensure coffee is static-free and fresh! Become your own home’s professional barista with your very own Bistro Electric Adjustable Coffee Grinder. Made from plastic, rubber, borosilicate glass, silicone and steel. Clean with a soft, dry brush.